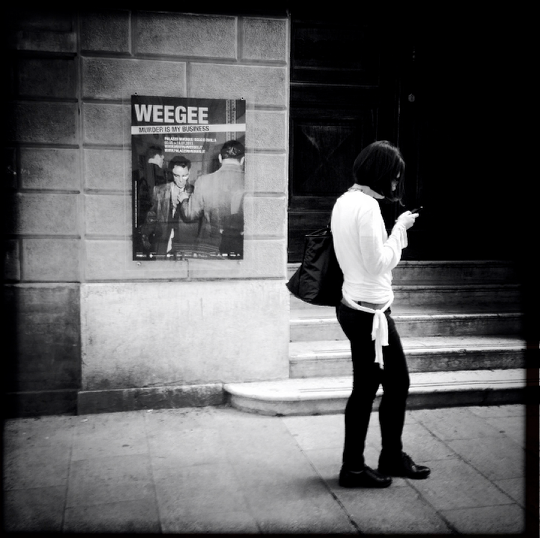 This week, the Women’s Mobile Street Photography Collective (Streets Ahead) is extremely pleased and honored to feature Gina Costa in our interview section. And for those of you who regularly interact with Gina in the mobile photography community, you’re in for a treat, too!! I would like to begin by thanking everyone at TheAppWhisperer and Streets Ahead, especially JQ Gaines, for inviting me to share a bit about my images. It is such an honor to be involved with this group of smart and talented women who do not hesitate to share with one another their techniques, insights, and advice. The talent and warmth of this collective group of women (and a few men) is indeed remarkable. Thank you. I am a better image-maker because of all of you! Thank you! I live physically and spiritually in several places simultaneously: however if you want to send me mail, use my addresses in Chicago or close-by outside of Chicago in nearby NW Indiana where I am a museum curator, art historian, and some-time college professor. I began making photographs as a teenager to capture the visual beauty and dramatic landscape of the Italian village where my father was born and lived. My interest in capturing the mountains of the Appennino Reggiano (North central Italy) drove my fascination with image making. That place, with the stunning panorama and charming rural village life was the crucible in which my early aesthetic was born. I still take the same photographs of the same mountains, the same people, but always with a new more focused lens. My mother was an enormous influence for me. She had a great eye and was always taking photos of her six daughters and the world about her. *Below is a photograph she took of me and my grandmother while the three of us were visiting Etruscan tombs in Etruria I have always admired how she captured the two Ginas (my fraternal grandmother’s name was Gina) I am about 9 and the older GIna is perhaps 60. My mother skillfully created an image in which seemingly both persons were attached or one person. It is a photo I have framed on my desk and look at every day. Both my parents were/are very intellectual (my mother is a linguist, my father was a doctor), and books and learning was the important focus of my bringing-up years. Art books were everywhere in our homes, and looking and thinking critically about images and ideas was important. My love of the photographic image, and my work in teaching art history and curatorial and museum work, as well as writing about art and photography, brought me to explore various strategies and approaches to the medium. 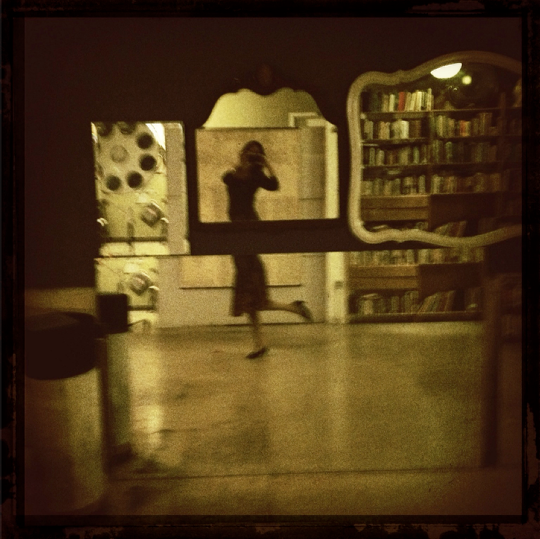 My interest in using the IPhone for the past two-and-a-half years comes out of my previous work in Lomography and other low-tech, analog practices. I still use my Nikon (film) and my digital Nikon SLR from time to time, but now, I feel that my IPhone best suits my current interest in street photography, as well as other genres. I have worked at The Metropolitan Museum of Art, New York; The Art Institute of Chicago; Memorial Art Gallery, Rochester NY, and have taught art history at a variety of universities. Consequently, works of art surrounds my life, and many of my photos are set in museums, as visitors interact with works of art. Is the use of mobile technology a short-lived phenomenon, or a new way of thinking about what a photograph can be? Is the traditional way of seeing and generating images part of the past, or has it been redefined? Furthermore, is mobile technology a valid part of the current discourse on contemporary photographic processes and strategies? I believe it is. 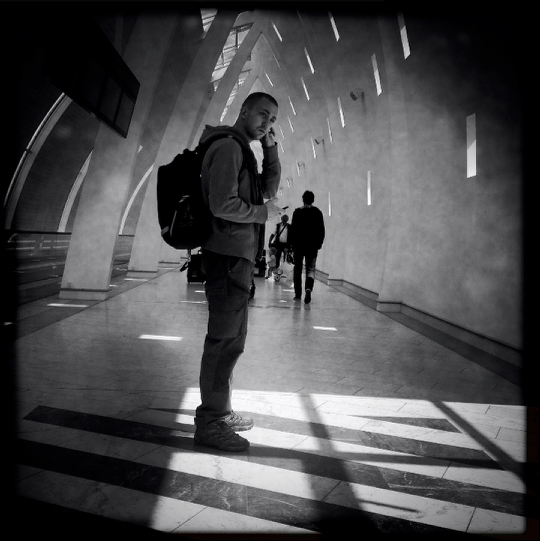 Which mobile device do you use to take your photographs? I use my old now IPhone 4s. However, I will be upgrading to the new 5s when it comes out. Which will not be too soon, because my poor iPhone is sooo tired of working so hard to take photos! 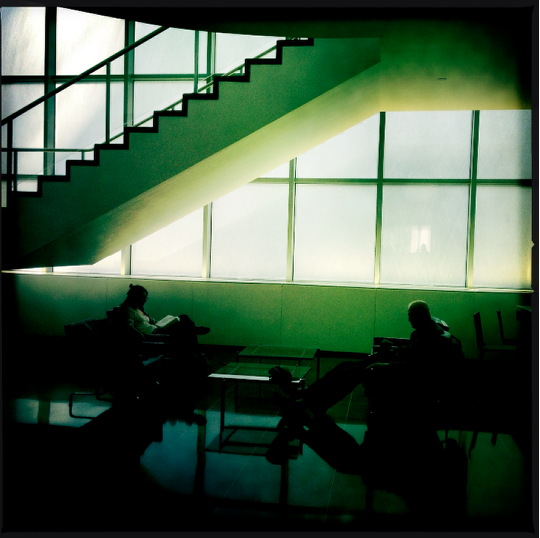 Apart from museums, I spend a lot of time in airports, and I love the kind of shots one can get of people there. However, with flight delays, etc, I can take dozens of airport shots and wear out my poor phone in no time! 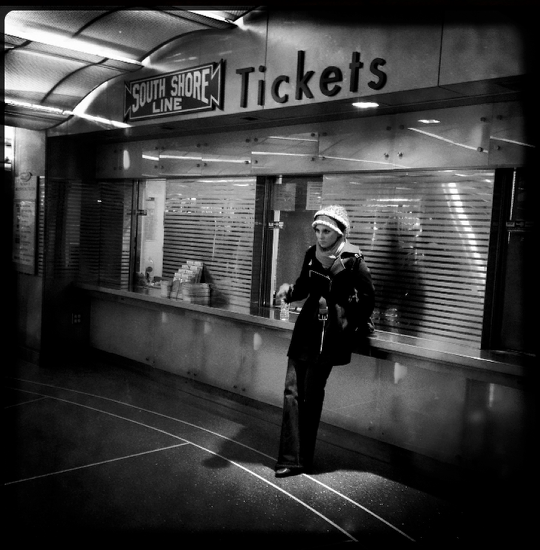 I am thrilled that a selection of my airport images are featured in a project with the Brooklyn based band Secret Cove. Is Street Photography a genre that you predominately focus on in your work? It is a genre that has always interested me. Some of my favourite images I have taken over my life were ones that fall into this genre. I think the narrative potential of street photography has a richness and open-endedness to it that other genres perhaps do not have. Also, it allows the viewer to engage with the image better, ad they too can be a part of the imaginary unfolding of the narrative. I feel that street photography connects to our collective architecture of memories that is why it is such a compelling genre. Is street photography just photojournalism? 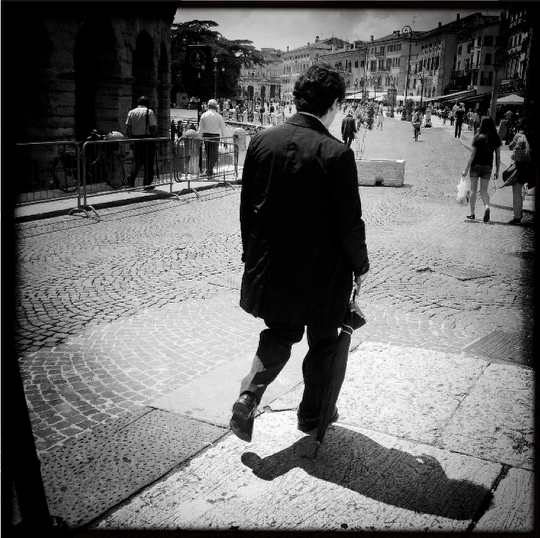 Do you see street photography mainly as photojournalism? Or do you think this genre intersects with the art world? 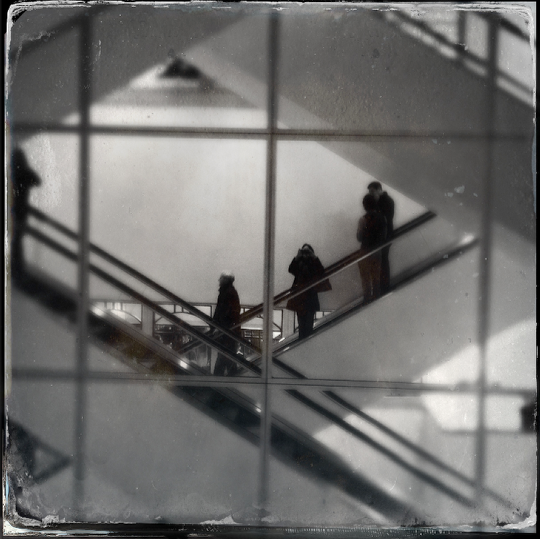 Heavens, street photography can be many things, and in all cases it intersects with the art world! There is a general question among some people about the morals and ethics of taking pictures of strangers in a public environment. Many think that this is an infringement of an individual’s rights and privacy. What are your thoughts on this? Has the question about “privacy” been an issue for you in your work? 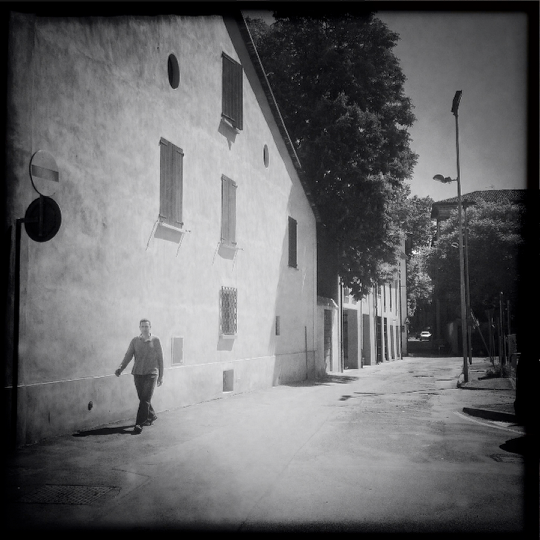 Have you had any negative experiences taking street photographs in your home country or whilst travelling abroad? How did you handle them? I am very careful never to exploit anyone (I do not care for “irresponsible images” taken of homeless people, handicapped persons, or anything related) I do not take photos of children without the permission of the parents. I am very respectful of this. If I do have a minor’s image, I make sure I have a written release by the parents, which I keep in a file. Do you have any rules in place when you are on the street photographing? For example: are there certain “things” or situations that you personally feel are “off limits” in your photography? Can you explain why? See my comment above. I respect the sanctity of people’s privacy, so I do not intrude on many personally intimate situations on the street. I do not believe we do a service to the medium by being offensive and intrusive. I am sure others may argue with me on that. They can capture those images, not me. I am not interested in it, as I do not believe this is adds to the discourse. Do you think that women bring to photography, especially street photography, a certain perspective that is not necessarily shared by many male photographers? If so, can you elaborate on your thoughts? I think gender can play a role in how we see the world, relationships, and how we engage with people around us. 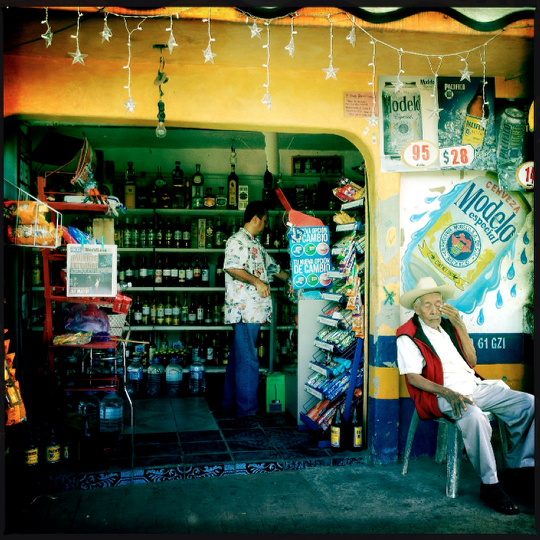 A few years ago I had the privilege to study with Mexican photojournalist Antonio Turok. 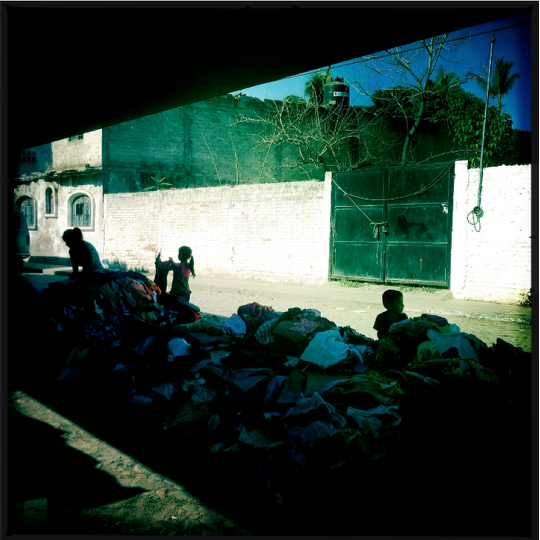 Often the class would go out on field trips and shoot images, especially in the Latino areas of town. It was interesting how the men’s interpretation of the exact subject matter was so different form the women’s! So, yes, I do believe it can, but not always or necessarily. 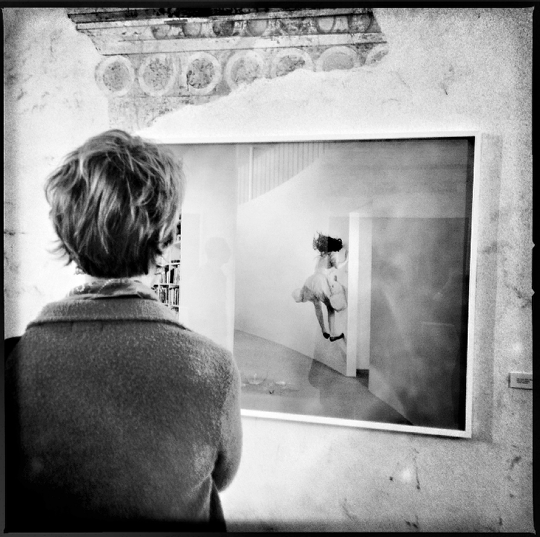 Are there any women street photographers/photo journalists who have inspired you in your work? If so, who are they? And what inspires you about their work? Helen Levitt was an important influence for me. I was fascinated by her street photos on New York. 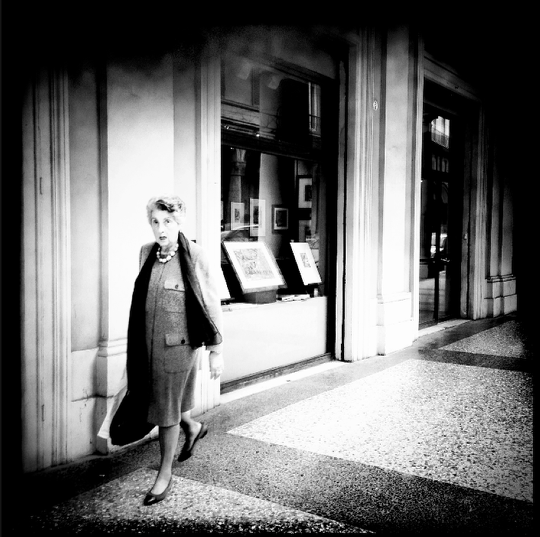 I think the recently discovered and much-loved Vivien Maier owes much to Levitt’s work. I am sure she was acquainted with her images. The enigmatic Tina Modotti and the remarkable Lola Álverez Bravo did some street photography. I love their aesthetic. Early in my life I was in love with the work of many men street photographers: Eugene Atget, Doisneau, Brassai, and the mythic Henri Cartier-Bresson. Today photographers (not strictly street photographers) who are women working in the medium that I admire and am amazed by are: Dayanita Singh in India, Shirin Neshat and Newsha Tavakolian from Iran. From Mexico: Flor Garduno and Graciela Iturbide, and the late Mariana Yamplosky (who I have written about) along with the important Lola Álvarez Bravo (she probably did many of the works attributed to her famous husband Manuel Álverez, it is being discovered!) are photographers who have a unique and important voice that should be heard. Heavens, I know I am leaving out so many other remarkable women who have contributed to the discourse. 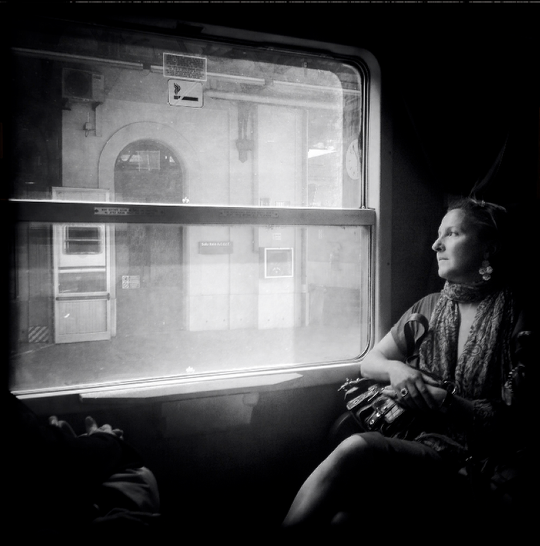 © Gina Costa, Stranger on the Train to Verona, 2013 (I love this image I took on the train from bologna to Verona this past May. 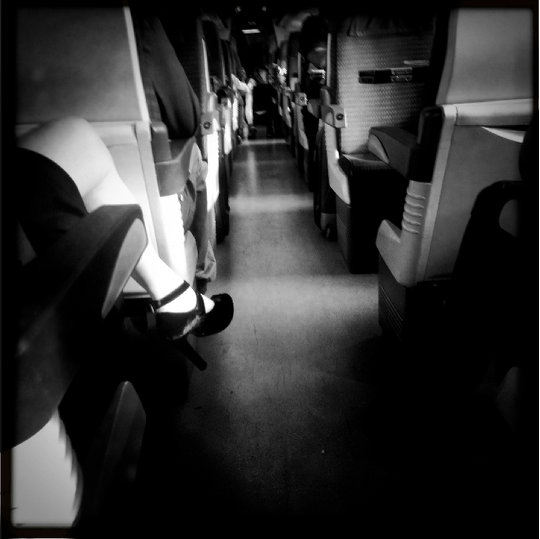 This woman’s leg extending into the aisle was so intriguing for many reasons. She was very fashionably dressed, and should have been in first class. There was plenty of room in first class. Why was she in second class? She was also very upset, very fragile. An entire narrative offered itself to me, the viewer. I love open-ended images such as this. Her beautiful shoe extending itself into this space suggested so many things to me! I would have loved to know what or who was waiting for her in Verona! What are your thoughts on post-processing mobile street images? Do you post process your images? Can you share with us an example of your workflow process? 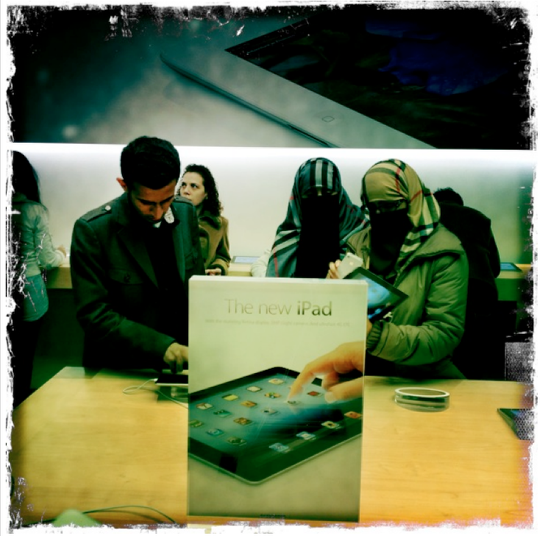 In this image I used the Hipstamatic app, which is my go-to app for creating images. I find changing lenses and films to achieve a desired effect works well for me. I also like Kitcam, for rich, more textured look. In this image I shot the original in Hipstamatic (John S lens and BlacKeys supergrain film) I did use Snapseed to strengthen the contrast a bit. That was about it. My favourite editing apps are Blender, Snapseed, Distressed FX , Scratchcam and Photogene. I have to say I hardly app my street photos at all. I feel the spontaneity of the process of the capture makes any editing of the image a diminishing of the entire process. Generally, I do not tend to edit many of my photos very much, unless I am consciously trying to make something clearly “creative” or ” artistic” (I hate that word). Anyhow, I still have to find time to learn how to use all the apps I have paid for! What are your personal artistic goals and aspirations? I would love to finally learn how to use most of the many dozens of apps for my IPhone I have! Are there any artistic aspirations that you have for the mobile street photography genre overall? I would love to finally be skilled enough to capture images as I see them in my mind. Without a good telephoto lens on the iPhone, I have not yet been successful. I need to refine my eye to be able to get a deeper narrative content. What social networks are you on? On which platforms are you most involved? 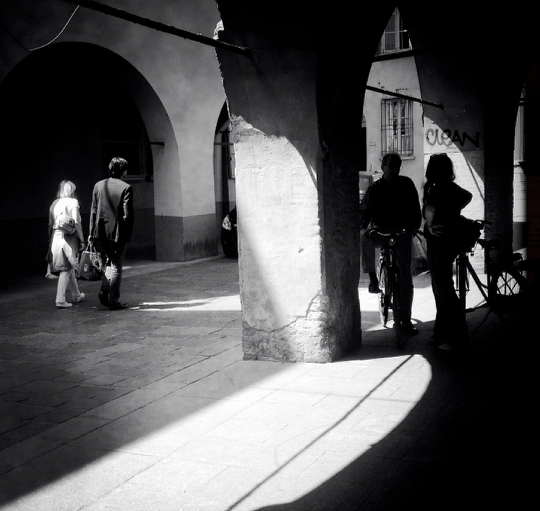 Do you have any mobile street photography tips or tricks that you’d like to share with us? I think I am always trying to learn from everyone in this collective. I am always in awe of the many talented women and their generosity in sharing their tips. I do try to remember, who was it who said it “ if you do not like your subject matter, get closer”. I think this is good advice! Once again, I would like to thank you JQ and everyone at The AppWhisperer for inviting me to share my images and reflections. I am inspired and encouraged by the generous and talented colleagues in this collective. Thank you to everyone who has been a source of encouragement and inspiration for me, especially Odette, Johnny, and Jeff. You know who you are. wow!! without doubt inspring. i felt as if i had a mini class session. 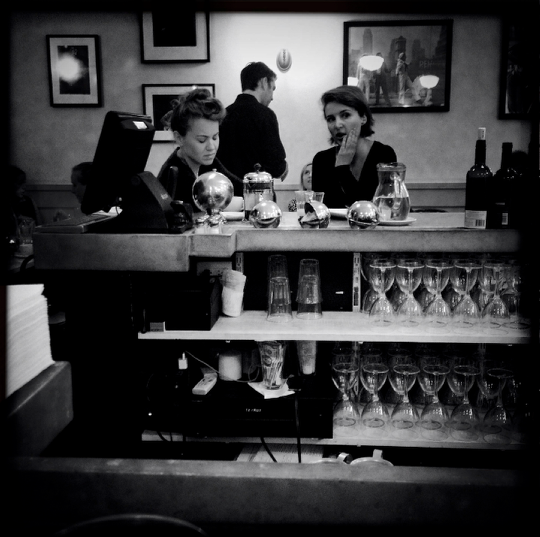 thank you for sharing this valuable glimpse in and out of the eye of Gins Costa. cant wait to visit her work. Excellent read from an amazing photographer!! What a fabulous, informative, inspirational interview. Brava – what terrific images and accompanying text – especially coming from a curator and someone employed in the “arts” – made for a richer interview. Do I detect a book in the making?